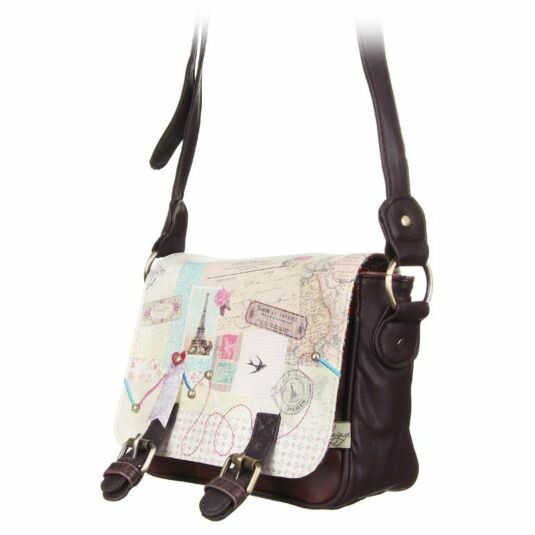 Whether you’re travelling the world, travelling the country or even just travelling to social events, this Bon Voyage Mini Satchel from Disaster Designs is the perfect little companion for storing all your essentials. 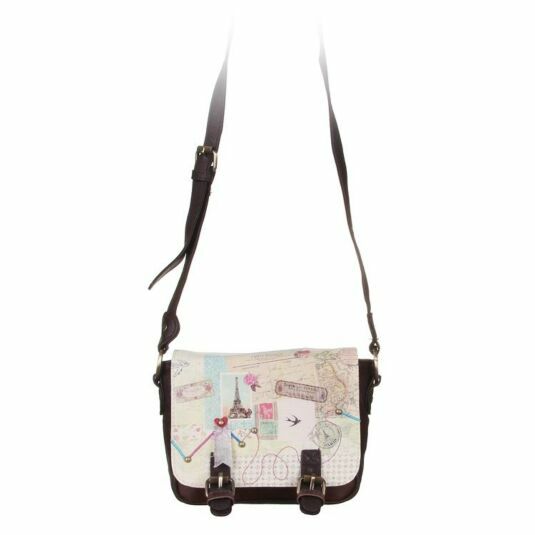 Miniature in size but larger than life in its design, this mini satchel focuses on travel, with various printed maps, monuments and stamps printed on the front flap of the bag, complete with a pin style route planner with golden studs and embroided thread. Two faux-leather straps with buckles finish off the design of the front flap, whilst two magnetic clasps underneath ensure the bag closes securely to protect all your essentials. 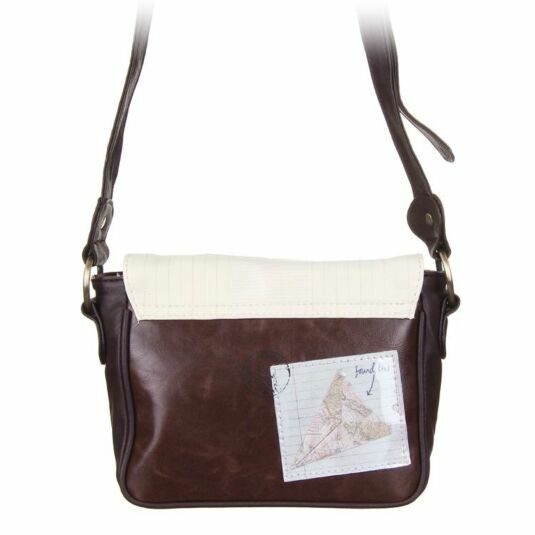 The faux leather design continues on the surrounding of the bag, with the sides and rear of the bag sporting the rich brown material, and the back sweetly finished with a paper plane memento encased in a plastic housing. 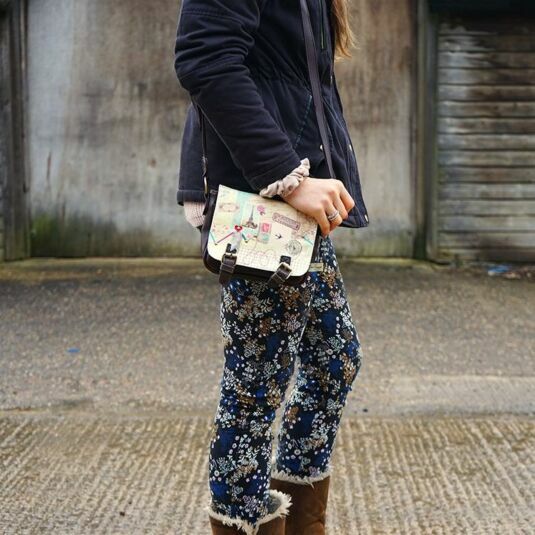 The interior of the bag features a dark green lining, with the inner lid of the bag sporting a vibrant and bold floral pattern in red, blue and brown. 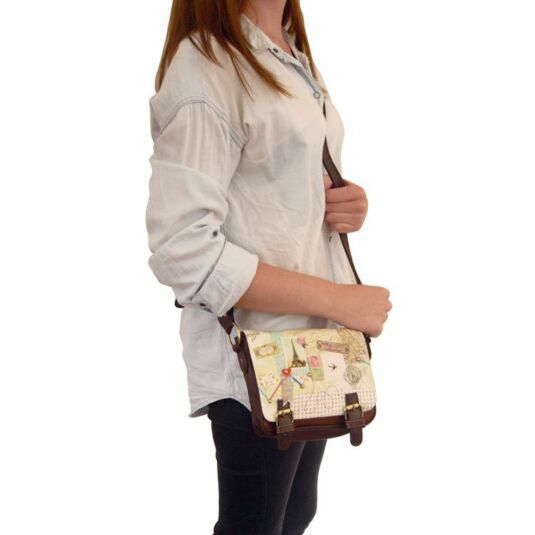 This Mini Satchel has a fully adjustable faux leather strap, perfect for wearing on future adventures with a broad appeal across all ages, from teens to mums to grandmothers. Bon Voyage is a beautiful design from the Disaster Designs collection. 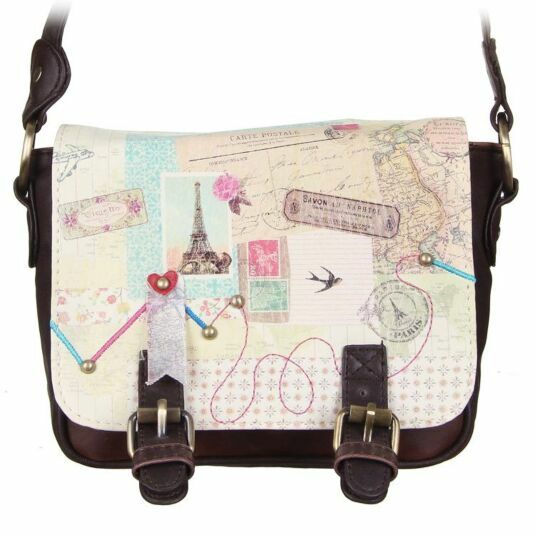 In soft pale colours the design features fun and iconic images such as the Eiffel Tower on a variety of fantastic high quality accessories. These items not only make a statement when out and about but are ideal for any age, and make the perfect gift for a friend or loved one.